Ever since our ancestors mastered fire, humans have been able to warm themselves. Cooling down when it’s hot has been more challenging. 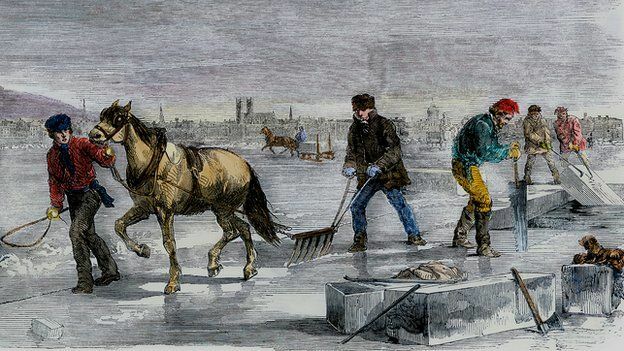 Until artificial ice-making took off, mild New England winters caused panic about an “ice famine”. 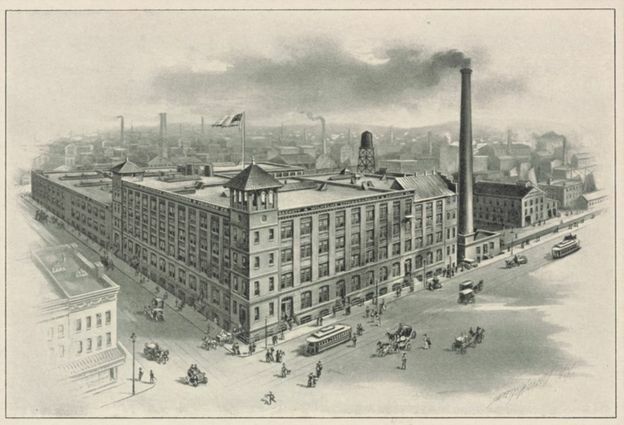 New York’s Sackett & Wilhelms Lithographing and Printing Company became frustrated with varying humidity levels when trying to print in colour. 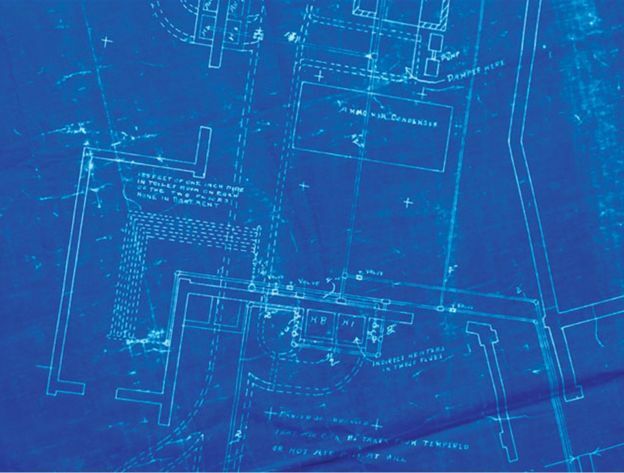 The same paper had to be printed four times in four colours, and if the humidity changed between print runs, the paper would slightly expand or contract. Even a millimetre’s misalignment looked awful. 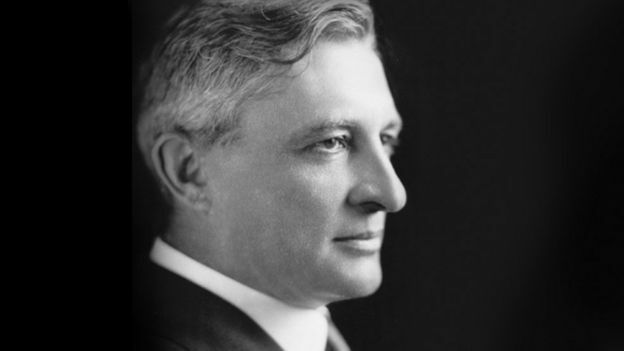 Buffalo Forge was soon selling Willis Carrier’s invention wherever humidity posed problems, such as to flour mills and the Gillette corporation, where excessive moisture rusted the razor blades. These early industrial clients didn’t much care about making temperatures more tolerable for their workers – that was an incidental benefit. But by 1906, Carrier was exploring the potential for “comfort” applications in public buildings like theatres. 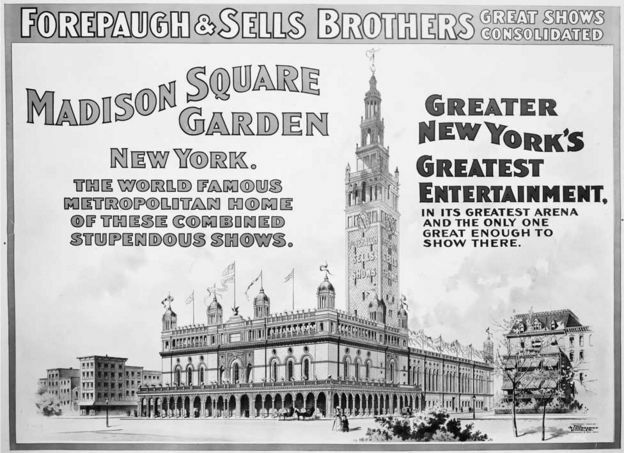 In the summer of 1880, New York’s Madison Square Theatre used four tons a day: an eight-foot fan blew air over the ice and through ducts towards the audience. Unfortunately, though cool, the air was also damp, and with pollution increasing in New England’s lakes, the melting ice sometimes released unpleasant smells. Willis Carrier’s “Weathermaker” was much more practical. Computers fail if they get too hot or damp, so air conditioning enables the server farms that power the internet. Indeed, if factories couldn’t control their air quality, we’d struggle to manufacture silicon chips at all. 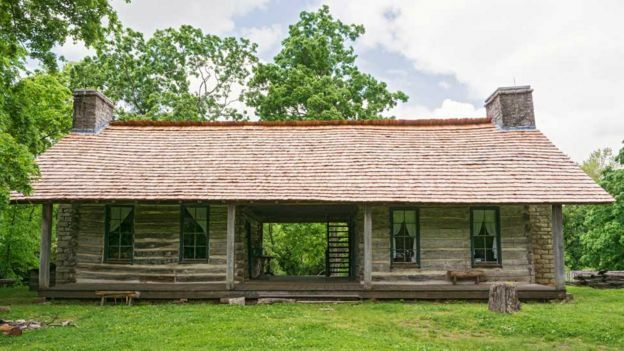 The dogtrot house, popular in America’s south, was bisected by a covered, open-ended corridor to let breezes through. Before air conditioning, glass-fronted skyscrapers were not a sensible option: you’d bake on the upper floors. Air conditioning has changed demographics, too. It’s hard to imagine the rise of cities like Dubai or Singapore without it. As residential units spread rapidly across America in the second half of the 20th century, the population in the “sun belt” – the warmer south of the country, from Florida to California – boomed from 28% of Americans to 40%. As retirees in particular moved from north to south, they also changed the region’s political balance. The author Steven Johnson has plausibly argued that air conditioning elected Ronald Reagan. Reagan came to power in 1980, a time when America used more than half the world’s air conditioning. 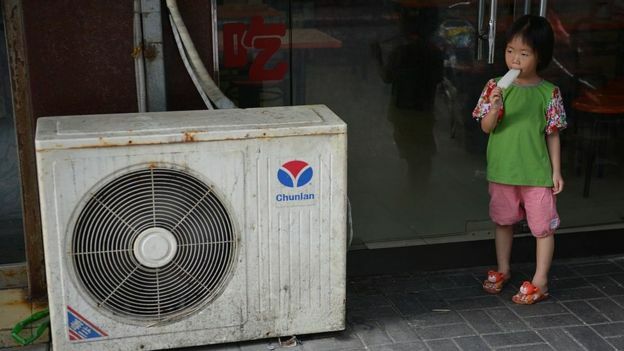 In countries like India, Brazil and Indonesia, the market for air conditioners is expanding at double-digit rates. And there’s plenty more room for growth: 11 of the world’s 30 largest cities are in the tropics. Studies show that it lowers mortality during heat waves. Heat makes prison inmates fractious – air conditioning pays for itself by reducing fights. William Nordhaus divided the world into cells, by lines of latitude and longitude, and plotted each one’s climate, output and population. 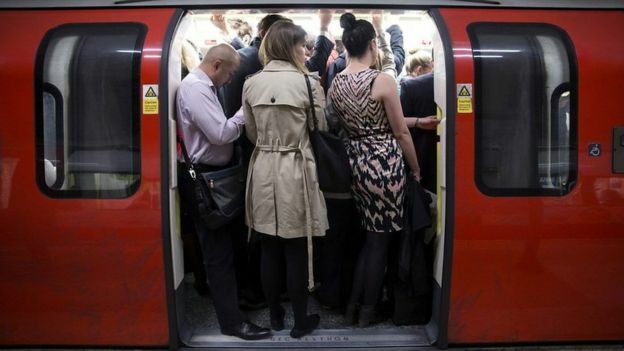 The hotter the average temperature, he found, the less productive the people. But there’s an inconvenient truth: you can only make it cooler inside by making it warmer outside. 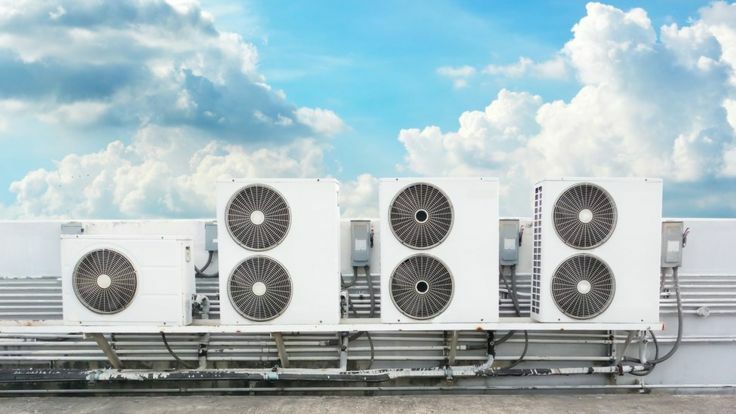 Then there’s the electricity that powers air conditioning – often made by burning gas or coal – and the coolants air conditioners use, many of which are powerful greenhouse gases when they leak. 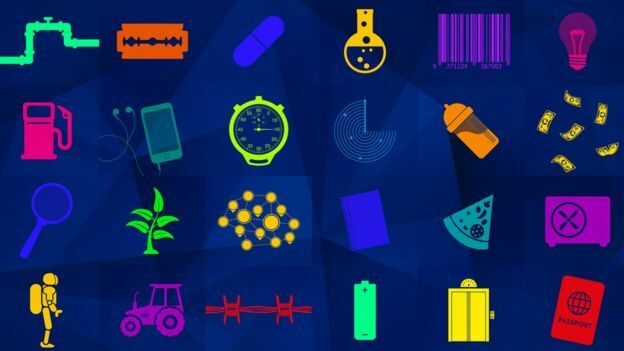 But demand is growing so quickly that – even if the optimists are right about possible efficiency gains – there’ll be an eightfold increase in energy consumption by 2050. That’s worrying news for climate change. When will we get inventions to control the outdoor weather, too?